Yesterday I already featured a very nice scale model buildup of a pigsbutt Laurel SGX but in real life it looks much better, especially if it also features a Hiro spoiler on the boot lid. 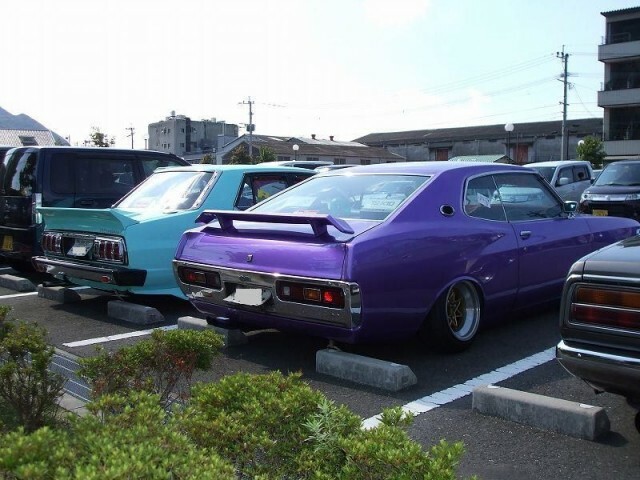 The Skyline features a set of (badly copied) Celica banana tail lights. (‘A`)? Also if I’m not mistaken these two cars are the two main cars of Ultra Heaven.